The Golden State Warriors might be the greatest basketball team ever assembled while Point Guard Steph Curry is doing things on a basketball court that we’ve never seen before, and both are drawing the ire of NBA alums. Hall of Famer Oscar Robertson has responded to their unprecedented success by quipping, “I just don’t think coaches today in basketball understand the game.” Kareem Abdul-Jabbar agreed with Robertson, saying that the physical play of his era would have made it too difficult for Curry to make jump shots. The pace and space revolution has taken a game that formerly revolved around banging in the post and made it about passing, movement, and efficient shooting. There are, however, are few holdovers who have been reluctant to change. 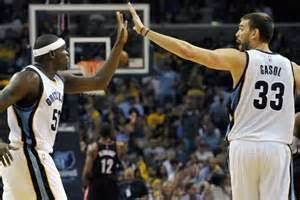 None of them has been as successful on the court as the Memphis Grizzlies’ Grit and Grind era. The Grizzlies have found success in the brutal Western Conference by deploying a nasty, massive lineup. While the league around them moved toward Bigs who could play the perimeter, Memphis continued to play the bruising 4-5 combination of Zach Randolph and Marc Gasol. In an era that has rendered wings with bad outside shots useless, the Grizzlies continued to start defensive specialist Tony Allen and his 27% career 3-point shooting percentage at Shooting Guard. This effort to turn back the clock with their lineups and playing style led to an elite defense for years. It also resulted in a ho-hum offense based almost exclusively on Point Guard Mike Conley Jr. running high post pick-and-rolls with Zach Randolph and Marc Gasol. Conley’s ball handling skills paired Gasol’s unparalleled passing ability at the Center position gave Memphis a good enough offense to ride their defense to loads of wins. Memphis started this season in disappointing fashion by only going 13-12 over their first 25 games, but they’ve rebounded nicely. Their current 36-24 record is 5th-best in the Western Conference. They finished 5th in the West one season ago as well and it’s doubtful that anyone in the organization would call this year a step backwards, but there are many indications that the Grizzlies are a team on the cusp of decline. No Grit and Grind era Grizzlies team has finished worse than 9th in the NBA in defensive efficiency (points allowed/100 possessions). This year’s Grizzlies are the picture of League-average defense, ranking 15th out of 30. The Grizzlies’ offense has been no more impressive, making the less drastic regression from 13th to 15th. After winning 55 games one season ago, Memphis is currently on track to finish with 49 wins this season. Much has been made of the entertainment value of this season being down compared to most years largely because of how much better a select three or four teams are than the rest of the League and the effect that disparity has on the sport’s element of suspense. The Memphis Grizzlies are not one of those three or four teams and have no shot of getting through the 2nd round of the Playoffs. So looking forward, what is going to happen to this team that seems stuck in the past in more than one way? Which free agent targets could put Memphis over the top? How many of them would consider moving to a relatively small market? Could they be convinced to buy into Grit and Grind, or will they want to change the only way this incarnation of the team has ever found success? Another factor Conley will have to consider is whether or not he can sign with one of those teams that the Grizzlies are chasing. If he can’t, what’s the point of leaving Memphis to go to another middling team? 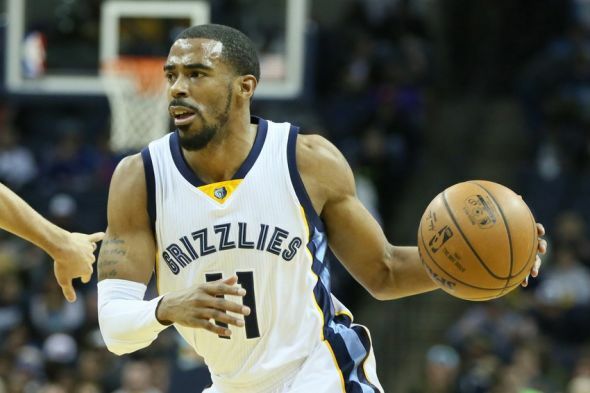 Conley could opt to go East and hope that his presence could turn a middling Eastern Conference team into a contender to emerge from a much more forgiving playoff bracket. For the purposes of this article, let us assume that Conley will decide to re-up with Memphis and decide to see Grit and Grind through. For what it’s worth, the organization is bullish both publicly and privately that this will happen. That means that going forward, the team has a star in Conley, an aging big who has never expressed much interest in taking care of his body in Zach Randolph, another aging big with hugely concerning foot problems in Marc Gasol, and an aging backcourt-mate for Conley in Tony Allen. Allen is so limited on offense at this point in his career that there is not a place in the League for him. Defenses just do not guard him at all anymore. That is death for Memphis’ offense that is hurting for shooting and has been for years. Barring a massive and unexpected Free Agency addition, the Grizzlies have little room to improve and will not compete for Championships. They find themselves in the awkward middle of NBA goodness, where a team is good, has grown accustomed to winning, and has no prayer of winning anything that matters. On trade deadline day, we saw that teams are placing a higher value on internal assets than ever before. That philosophy is also reflected in the now-annual race to the bottom (a.k.a. “tanking”) for teams that abandon the goal of winning in the short term for the possibility of acquiring better assets for the long term through the draft. The Grizzlies’ playing style has served them well, but, possibly as soon as next season, they will not have the personnel to pull it off. All the same, they look poised to try their damndest to keep this bunch together and hold onto “good but not good enough” status for as long as possible. With an on-court style and front office strategy that are being left behind by the modern NBA, teams like the Grizzlies are a dying breed. Peter Curtin is a working professional based in Washington, DC. A life-long sports fan, he has previously written as a contributor for Philadelphia-based sports site, thewoodercooler.com. Follow him on Twitter @Pete_Curtin.